Durant. They’re young, talented, great singers… and nearly half have the last name Lancaster. Need to know anything else? Seriously, this is one of the most promising up-and-coming groups in the a capella world, not just the gospel end of things. Their first album Ride proves it. If you’re a fan of any of the groups from the Acappella Company, you may well recognize some of the songs on this album. But Durant gives them all a fresh interpretation for today’s audience. You will not be disappointed with this album. From beginning to end, Ride is an entertaining and uplifting album with everything from Acappella Company classics to new arrangements of folk and pop songs. Each of the seven members has a unique voice which blends nicely with all the others, creating a solid group dynamic capitalizing on the wide variety of vocal styles. 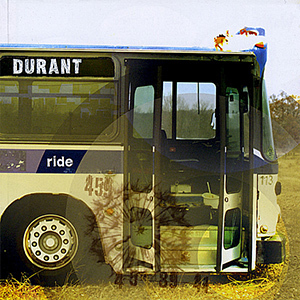 From the Southern Gospel “River Medley” to the slow groove of “People Get Ready” to the pure energy of “Without Love” and “Ride the Chariot,” Durant exhibits versatility and musicianship in every note. They even include a cover of “Thank You” by Boyz II Men and a beautiful arrangement of the praise song “As the Deer,” just in case you had any doubts about their musical versatility!